You know there's a real Nome, Alaska, right? It says it's an "adult comic." please say someone has a higher res copy of that. I'd love that for a wallpaper. I tried looking for a bigger version,but this was all I could find,I hope someone has better luck then me. While the idea of Macross and Yamato side by side is an interesting one, I'm somewhat concerned about where the middle gun barrel on that is pointed. dude, it's got Misa and Yuki Mori on the cover, that automatically makes it awesome. mmh, I think there might be something missing. This new forum does all kind of funny things. The JCS official said he is unsure how effective the work of girl bands will be. But the revealing outfits worn by the performers and their provocative dances could have a considerable impact on North Korean soldiers. On the Flash game Epic Battle Fantasy 2 on Kongregate. It's the mage's limit break. I take it we can use "Macross in the weirdest places" in a broad sense here? Was at my local record store here in Copenhagen, and in the background was a quite decent hip hop song that used a sample from the Godfather Waltz (from the movie with the same name). 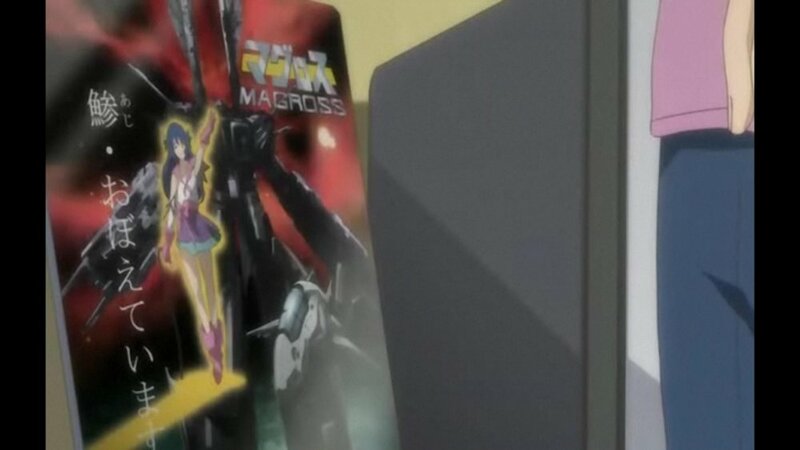 I dropped the 3 dvd's i had in my hand when I heard the rapper say "start moving on Macross Plus flush" and ran to the shops attendant and almost strangled her demanding to know what in the name of all that was holy was on in the background. And yes, the name of the song is Macross Plus and its by a rapper called Billy Woods. The lyrics have absolutely no relation to the OVA or movie in my opinion, and I have no idea what he was aiming at with the lyrics. Maybe he just heard the name and though it sounded cool. Oh, and of course I bought the CD! The Dollar Store. I saw a copy of the Vol. 1 DVD with the dub that ADV Films made with random volumes of Brigadoon, Guyver: The Bioboosted Armor, InuYasha and others at my local store. I found that same song by accident on Amazon.com's mp3 download section. It might be a reference to another song I found: "Dreamspace (Macross Remix)" by rapper B.C. From the 30 second sample I've heard it has Minmay's "1...2...3...4" from DYRL followed by an obnoxious remix of sound-bytes of Myung's "Voices" in the background. I ran to the shops attendant and almost strangled her demanding to know what in the name of all that was holy was on in the background. How about Macross in the weirdest Youtube video? This guy being interviewed in his appartment has a 1/55 Valk behind him on a shelf. Who would have though that Macross would have made to the hip-hop community? Was at a South Bay 99cent store and among the 5-yr old Kung Fu dvds and 90s b-ball documentary dvds was Macross: Superdimensional Fortress DVD, Vol. 1 by Harmony Gold. I thought, "Hot dang!" but when I looked around didn't see the remainder of the other volumes so I just left it there. I guess 99 cent store is getting ADV left-over stock along with those Inayusha, Reign, and other anime dvds. Whew, I thought I was the only one who saw it. I was up in the bay area last week, Antioch, CA, to be precise and I saw these trucks for "Indy Custom Fleet Detailing." Unfortunately I did not have my camera but the badging on them was remarkably like that of a red Hikaru VF-1 including the UN Spacy Kite. The trucks I saw where numbers 4 and 5 so they must have more. It was kind of cool to see, just wish I had my camera. So, MWers in the bay-sac area if you need your care detailed call these guys and ask why they went with a Valkyrie style paint scheme with the name Indy. This I can't 100% confirm but when I was watching Dexter (it's a show about a seriel killer who hunts other seriel killers to satisfy his urges to kill people) there was this one episode about a comic book being made about the mysterious killer who is going after these other killers (think of it like batman) and in a scene set inside a comic book shop on the wall I could have sworn I had saw what looked like a macross or robotech poster of some sort. 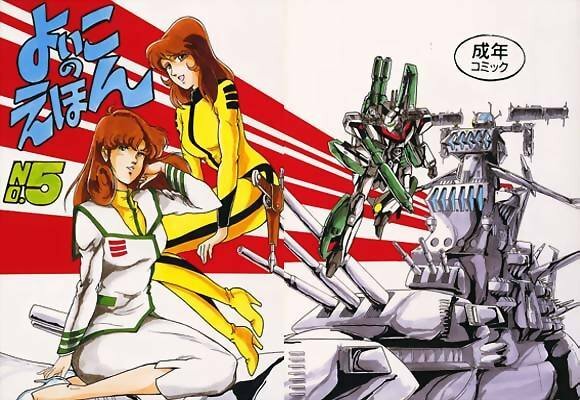 It definitely had an "anime fighter pilot in space vs aliens" vibe going on in it almost like a cover to a robotech comic or something like that. Not sure if this one counts though. It was only for a brief moment but if anyone has the dvds or something, go to the episode about 'the dark avenger' or dark defender or something like that and look for it. Look around about 5th episode of 2nd season. It looks like it may be inspired by Macross, but it is actually a poster for a fictional video game made by a printing company. You can see their other posters on their website. Ha ha, some Macross cosplay (Macross FRONTIER stunningly) gets reported at an anime fest in Australia in the Australian Media. Trust me, this is r-a-r-e! Macross getting reported in mass-media ANYWHERE is rare. Even Japan! What sort of anime does get media coverage in Japan, just out of interest? Do any of the older shows get any coverage? Ghibli and One-Piece, man. Ghibli and One-Piece. neighbours complaining about garish colouring of house in upscale residential area, as the manga artist painted the exterior of his house to match those of his key character. mass murderers who are anime fans/target anime fans/have names similar to anime creators. Aside from the last one (which is truly a rarity), those news articles were more prevalent pre-Lehman shock. After the Lehman shock, it's been news about it's effects, and that's (currently) morphed into the high Yen/USD exchange rate. Alas, social issues, such as income disparity, the gap between the rich and poor, etc., have been pushed to the side; despite the Lehamn shock having exacerbated the situation. (Ie more people "living" in 24 hour internet cafes). 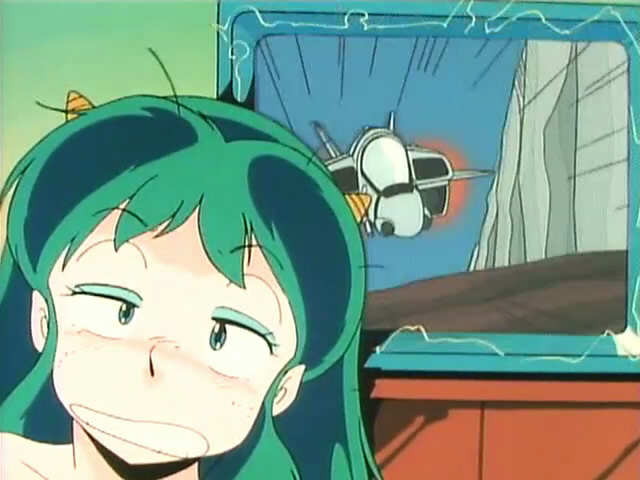 An episode of Urusei Yatsura? Another one that comes to mind. Anyone have the Phantom Menace on DVD (yes I'm aware it's a HORRIBLE movie)? 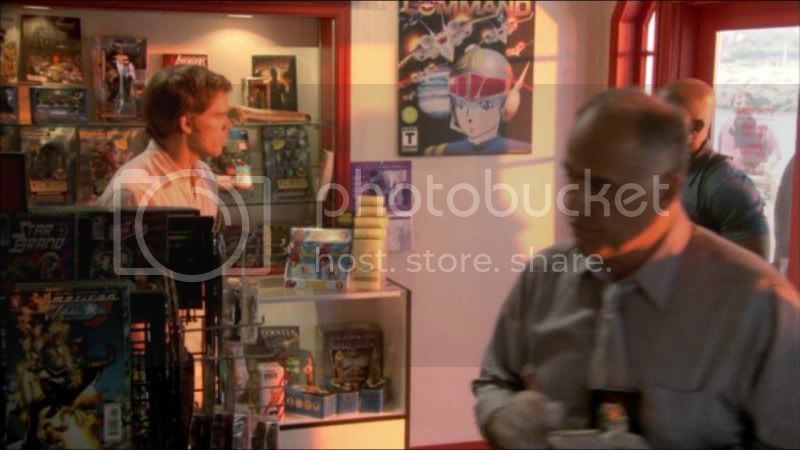 It's on one of the behind the scenes clips where they're touring Lucasarts. One of the staff is interviewed, and on his wall is a HUGE Lynn Minmay wall scroll.